Kozhamzharova Dariya Perneshovna was born on July 22, 1962 in Zhambyloblast, city of Taraz. In 1984 she graduated from S.Kirov Kazakh State University in specialty "History". From 1990 to 1995yrs. – she was the post-graduate of Abay Almaty State University. 1995 year - she successfully defended her thesis for the degree of Candidate of Historical Sciences on the topic: "Problems of Sovietization of Kazakh aul in 1920-1930 years during the period of collectivization and industrialization". 2010 year- she defended her thesis for the degree of Doctor of Historical Sciences on the topic: Conquest of Southern Kazakhstan by tsarist Russia: the relationship between the military - colonial administration and indigenous population (the second half of the 19th and beginning of the 20th centuries). 2013 year- Corresponding Member of RK NAS. 2017 year - Academician of RK NAS. 1984 - 1989 -she worked as a senior lecturer of the department "History of the CPSU and scientific atheism" of Jambul Pedagogical Institute. 1989-1990 - intern-researcher of Jambul Pedagogical Institute. 1990 to 1995 - post-graduate of Abay Almaty State University. 1995 to 2001 –the Associate Professor at the Department of History of M.H. Dulati Taraz State University. 2001 to 2003 - head of the department "Political Science and Sociology" of M.H. Dulati Taraz State University. 2003 to 2004 - Dean of the faculty of pre-university training of of M.H. Dulati Taraz State University . 2008 - 2010 - Vice-rector, responsible for educational work and international cooperation of M.H. Dulati Taraz State University. 2010-2013 -Vice-rector, responsible for academic and methodical work of M.H.Dulati Taraz State University. 17.09.2012-15.11.2012 yr.-Vice- Rector of M.H.Dulati Taraz State University. 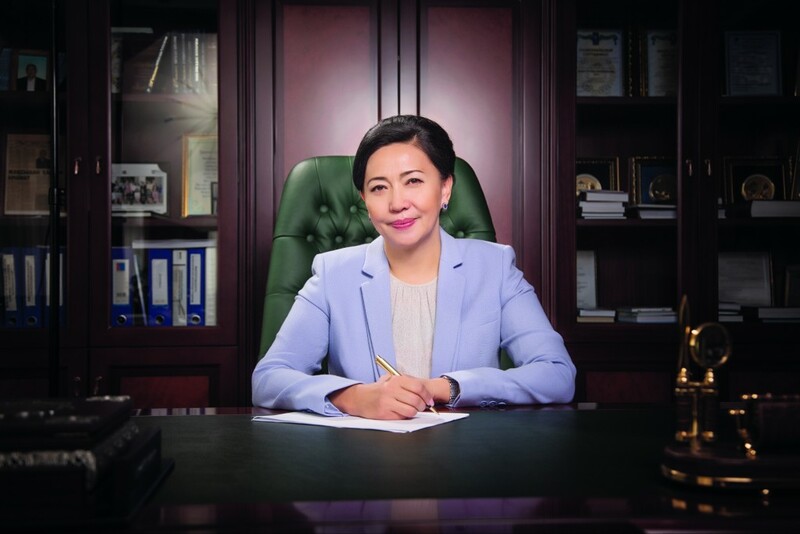 2013 - 2018 - Rector of Taraz State Pedagogical University. 2012-2016 the deputy of Zhambul oblast Maslikhat of the V-th convocation. From 2016 the deputy of Zhambul oblast Maslikhat of the VI-th convocation. The chairman of the Permanent commission of the VI-th convocation on Rule of law, Social and Cultural sphere, gender politics and public relations. She was awarded the Order of «Құрмет», the lapel badge «Ы.Алтынсарин» and и «ҚР Білім беру ісінің құрметті қызметкері», the jubilee medal «ҚР Тәуелсіздігіне 20 жыл» and «ҚР Тәуелсіздігіне 25 жыл» ,Letter of Gratitude of RK Presiden,Certificates of Appreciation of ME&S of RK nd Akim of Zhambyl region. She has 5 monographs, 3 study guides, over 200 scientific – guidance articles. Married. She has 1 son, 2 daughters, a grandson.